What Is the Difference Between a Yucca and an Agave? Because both the yucca and the agave plant belong to the same family, these two species share many similarities; there are, however, also some distinctive features that can help an observer to differentiate between them. Although similar in some respects, agaves are quite different from yuccas. Both yucca and agave plants belong to the family of Agavaceae. The Yucca plant derives from the genera subtype ''Yucca,'' featuring about 40 species, whereas the agave belongs to the genera subtype ''Agave,'' which features around 300 species. Many varieties of yuccas can be admired in desert regions. Both plants are succulent and grow from a rosette. The agave typically has sharp spines on the leaf edges whereas the yucca has none. 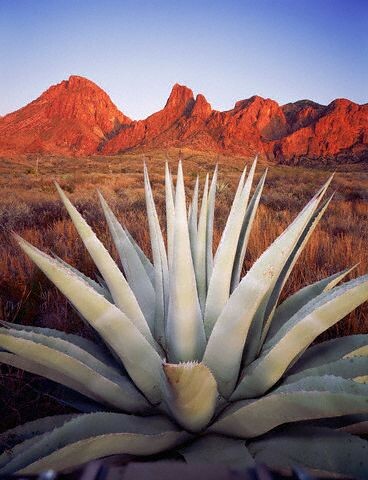 Yucca plants also have thinner, straighter, and less succulent leaves than agaves and with time produce trunks. The Yucca plant depends on some special species of moths, which cross-pollinate the flowers, allowing the plant to reproduce. Agave plants, on the other hand, resort to a variety of pollinators, including bees, birds, hawk moths, and bats. The yucca plant typically blooms each year, presenting typical large bell-shaped white flowers. The agave plant, by contrast, is known to bloom only once (right before dying), producing flowers that grow high above the rosette (up to even 40 feet tall) with spicate that often resemble a bottlebrush. Some agave specimens are used to make drinks such as tequila while its fibers, known as sisal, are used to make ropes and twine. Yucca roots can be used to make soap. Some species also feature fruits that are edible, and its fibers can be used as well to make ropes, sandals, and cloth.